D-Street seems to be happy with Amitabh Chaudhary’s appointment as Shikha Sharma’s successor at the top -- the bank’s stock surged about 4 per cent in early trade on Monday. According to analysts, as a strong contender for the top job, Chaudhry’s entry is rightly timed (from January 1, 2019) as much of the balance sheet cleansing was done in the past three financial years. With recent mega capital infusion, this phase is accurate for an accelerated growth. “Things are now falling in place and we expect earnings momentum to accelerate over FY18-21,” said analysts at Motilal Oswal Financial Services. In fact, analysts at IDFC Securities believe that Axis Bank now has the necessary leadership to reclaim its lost market position. The faith in Chaudhry largely emerges from his diversified background, but the most prominent being his successful stint in the insurance sector as risk management is the critical aspect. “We would describe Chaudhry as a turnaround expert. He did not have an insurance background when he joined HDFC Life in January 2010. Chaudhary innovated a whole new segment of credit protection in which the company still has a lead. He is joining Axis Bank when it is coping with tightening regulations. 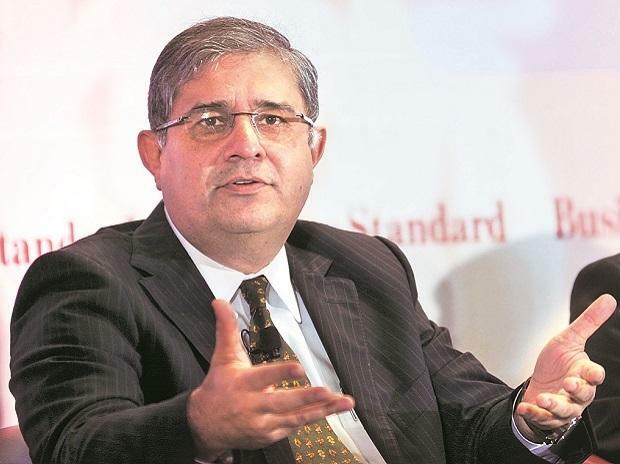 We believe the bank needs a CEO like him to tighten processes, enhance its brand equity and move on to the next stage of growth,” IDFC Securities points out. But the zing factor that really works in Chaudhry’s favour is the super hit listing of HDFC Standard Life last year. While his soon-to-be former company remains at the third spot in business terms, HDFC Life rakes the meatiest valuations. With humongous listing gains, HDFC Life will be remembered as one of the best IPOs in recent times. Interestingly, life insurance is among the key missing parts for Axis Bank at the moment. Analysts at Edelweiss point out how the partnership of Axis Bank with Max Life will be worth watching. “Chaudhry will be the best positioned to evaluate the strategic benefit of the tie-up”, they added. Yet, not all may be rosy for the new man from the day one. Adarsh Parasrampuria of Nomura cautions that the key near-term uncertainty concerns a potential asset quality clean-up over the next 2-3 quarters. Going by history, slippages and bad loans have been elevated for a few quarters with a new CEO taking charge; the State Bank of India is the recent example. “Any large incremental additions to stress book of the bank would be taken negatively,” Parasrampuria adds. March quarter results of Axis Bank will be a closely monitored event. With 24 per cent gains in the past three months, Axis Bank stock has outperformed the broader markets. Will this show continue? The time should tell.